Apple blasts its fans with the three iPhone models, including iPhone XS, iPhone XS Max and iPhone XR. You Apple fanboys may probably jump the gun to enjoy the wireless charging, edge-to-edge OLED display with Face ID support etc in the new iPhone X over iPhone 7. Before you enjoy the radical redesign and a whole set of revamped features, you need to transfer old iPhone data to new iPhone XS (Max)/XR. Though there are many how-to guides on transferring data to new iPhone X, iPhone 8/Plus with iTunes or iCloud, here we share you three ways to transfer all data to new iPhone XS (Max)/XR without data loss, including contacts, photos, apps, messages etc; the strengths of each method, and guide on how to transfer data to a new iPhone from Android or Windows phone safely. 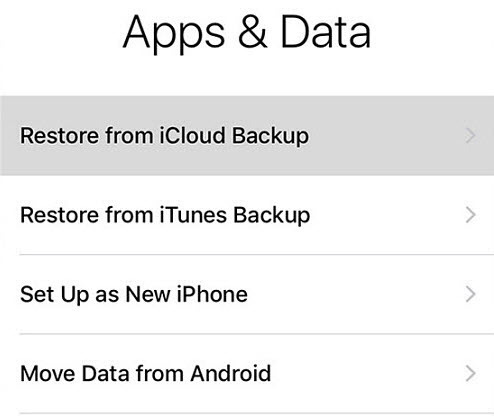 (the guide also applies to data backup and transfer for iOS 12 update). Fastest large-size data transfer to new iPhone XS (Max)/XR from old iPhones - MacX MediaTrans will backup and transfer UHD photos, music, videos, movies, iTunes protected purchases, ringtones, eBooks etc to iPhone in one click. 8 seconds for 100 photos in 4K! No waiting or freezing. Whether you want to do the file transfer via iTunes, iCloud, or without iTunes/iCloud, or you're transferring data to new iPhone 8 from old iPhones, or Android, Windows phones, or you encounter any trouble during the data transfer, you can find a solution here. 1. 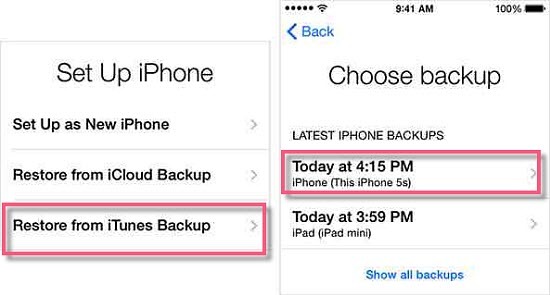 Backup data on old iPhone X/8/7/6S/6/SE..
Download the latest version of iTunes and launch it on computer > connect old iPhone 7/6s/se etc to Mac/PC using a USB cable (If iTunes cannot connect to iPhone, click here) > click iPhone icon on the menu bar and then Back Up Now (you can backup iPhone 7/6S/SE contacts, settings, app data, messages, photos etc) > click Encrypt Backup to make a encrypted copy if needed > then unplug old iPhone after the data backup finishes > take SIM card out of iPhone 7/6S/SE and go to iPhone 8 data transfer. Insert SIM card into new iPhone 8 or iPhone X and turn on it > plug iPhone 8 to computer and follow the instructions to set up it > select Restore from iTunes Backup on the iPhone setup screen > on the computer, select Restore from this backup from the list > input your password for encrypted backup, if any > wait for it to finish. * It's less likely to run into data syncing stuck problem or the like. If you meet any iTunes errors, click here to fix them. * You can manage the backup data in iTunes stored in local computer before backing up files to new iPhone 8/Plus. Transferring data from old iPhone to new iPhone 8 is another option. Having said this, you're suggested to opt for iTunes, as it's much faster than the wirelessly syncing. iCloud won't transfer to new iPhone 8 or iPhone X the apps, nor music or videos not purchased from iTunes, or photos not stored in local camera roll. 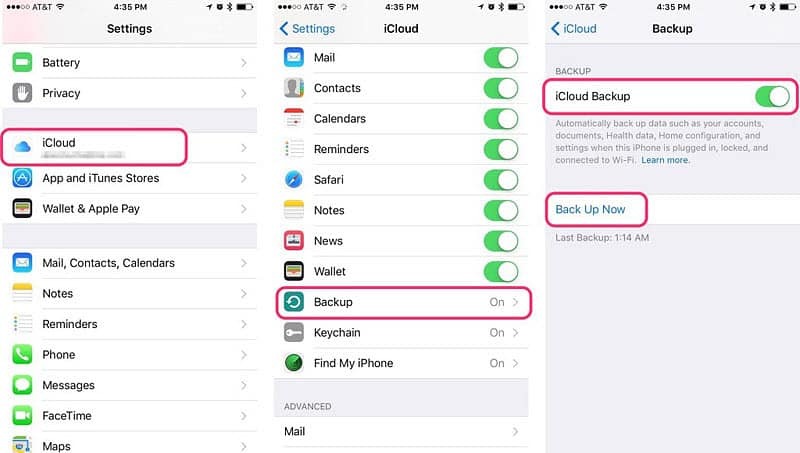 Connect old iPhone to Wi-Fi > tap Settings and click iCloud > select Backup > Back Up Now > it will going to backup camera roll photos, accounts, documents, and settings of old iPhone model > turn off iPhone after it finishes > take SIM card out and go to transfer data to new iPhone 8 (Plus). Insert SIM card into new iPhone X or iPhone 8 > turn on iPhone X/8 > follow the instructions to set up it > select Restore from iCloud Backup on the iPhone setup screen > sign into the iCloud account > choose the iCloud backup and enter the iCloud password > wait for iCloud restore to finish. * Make sure you have a good internet, or the iPhone data recovery may get stuck for large files. There are some third-party apps designed to copy and move data to new iPhone 8 from old iPhone 7/6S/SE without iTunes or iCloud. For example, MacX MediaTrans, which will transfer photos, videos, movies, books, music playlists, camera roll, voicemail, ringtone etc from old iPhone to new iPhone 8 (Plus). 1. Free download the software to transfer any files from iPhone 7 to iPhone 8 on computer (Mac version or Windows version). It works with latest computer system (macOS Sierra/Windows 10) as well as iOS 11/10. 2. Connect old iPhone to computer via USB cable and launch the software. 3. Choose the data you'd like to backup and transfer to new iPhone 8, iPhone 8 Plus or iPhone X, e.g. music, photos, videos, books etc by selecting the respective mode, and disconnect the old iPhone. 4. Take the SIM card out of the old iPhone and activate new iPhone 8/Plus. Then connect the new iPhone 8/X to the same computer. 5. Click Add contents button to transfer the data to iPhone 8/Plus or iPhone X. The whole process can be done manually in a flash. * It helps to transfer iTunes DRM-protected content into unlock MP4/MP3 files for easier sharing with friends. * Transfer any data wirelessly. * 5GB free space limit. * Do not include iPhone system files. With iPhone 8 going to be bigger than any of its predecessors, more users are being lured to switch Android to iPhone 8, iPhone 8 Plus or 5.8-inch OLED iPhone X. If you're one of them, you may probably want to know how to transfer contacts, messages, photos etc to new iPhone 8 from Android devices. For this, the app called Move to iOS will help. This app will transfer camera roll (photos and videos), message history, web bookmarks, contacts, email accounts, and calendars from Android to new iPhone 8/Plus over Wi-Fi connection. See more tips on iPhone 6 data transfer. 4. After all the steps finished, it will start transferring data to new iPhone 8 or bigger-screen iPhone X via Wi-Fi. Statistics indicated that the sales of iPhone 7 gained 9.1% at the expense of Windows phones, not to mention the 10-anniversay phone. How to copy data to a new iPhone 8 (Plus) or iPhone X from Windows phones is a little bit more complicated than other sources as different contents involve different methods for transferring. * For contacts, mails and calendars: backup the data using Microsoft account > activate iPhone 8 and open Settings > tap Mail, Contacts, Calendars and select Add Account. * For photos and videos: you can upload them to cloud services and then download to new iPhone 8. For this purpose, OneDrive and Dropbox are good options as they are compatible with both Windows phones and iOS. Transferring data from old iPhone to new iPhone 8 (Plus) is not always smoothly. Virtually, we have seen so many users get stuck with endless data syncing. This (together with other iPhone data syncing problems) may damp down your excitement about the new devices, but luckily, there are some tips to fix. * Transfer large files with other tools first. This best iPhone data transfer provides users the simplest solution to fast transfer UHD photos, music, videos, movies, ringtones, eBooks etc to iPhone 8 in one click.